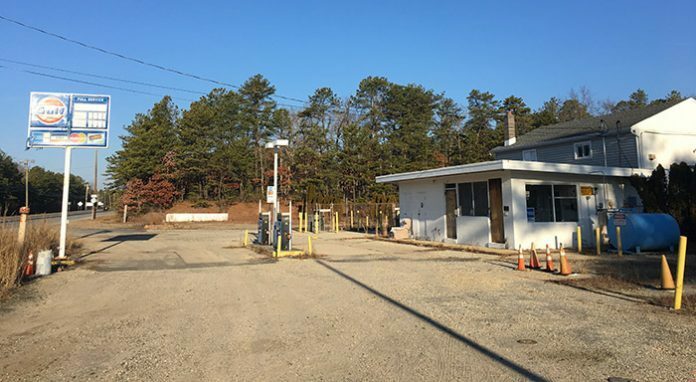 BARNEGAT – The ground beneath a closed gas station is clean, officials said, but the future of it is uncertain. The gas station is located at 282 Route 72 in Barnegat, also known as Block 54, Lot 4. It was previously a Gulf station, and had several names associated with it, including MJ Auto Repair and Sycamore Petroleum KC Oil LLC. There was $12,019 in taxes paid on it in 2016. According to township records, there have been no applications on the property before the zoning board or planning board. 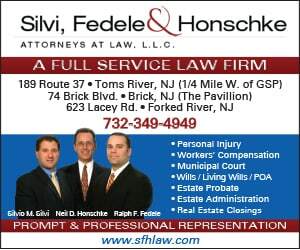 The property is owned by Pinto Land Management of South Plainfield. An employee there said that they don’t know just yet what the company’s plans are. 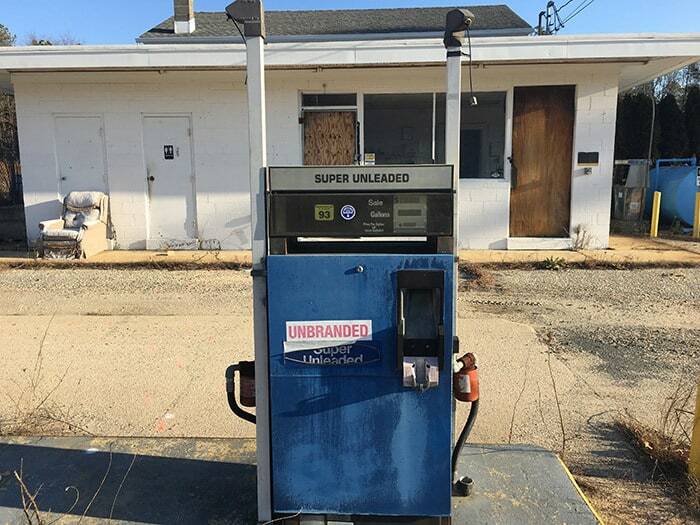 The gas station has a Licensed Site Remedial Professional whose job it is to oversee clean-up of areas such as these. For this property, the LSRP is Blaine Fresco with Active Environmental. He said that the tanks were removed months ago and no contamination was found. 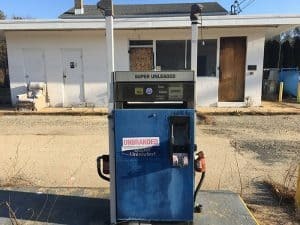 In 2015, the Ocean County Department of Consumer Affairs estimated there were more than 75 former gas stations left abandoned in the county. 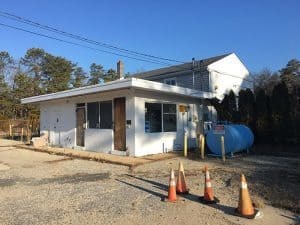 Recently, a gas station on Route 37 in Toms River near Clifton Avenue was torn down to make way for a car dealership. He said he hopes that this starts a trend. A new business would bring in a stronger tax ratable than the closed one, he said, and would offer jobs.